Great any season, but we enjoy them most this time of year:). 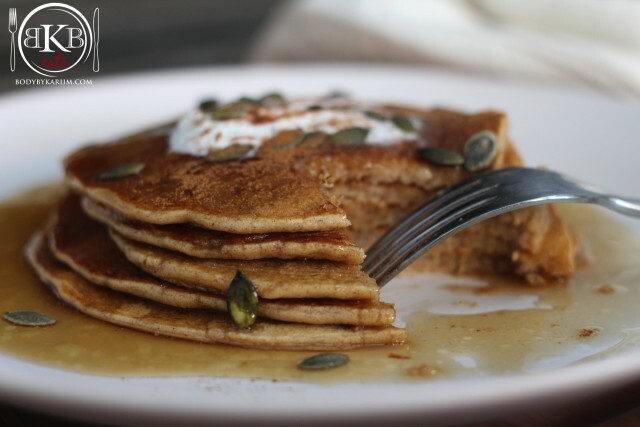 Quick & Easy – Our delicious pumpkin pancakes will truly hit the spot on a chilly fall or winter morning. 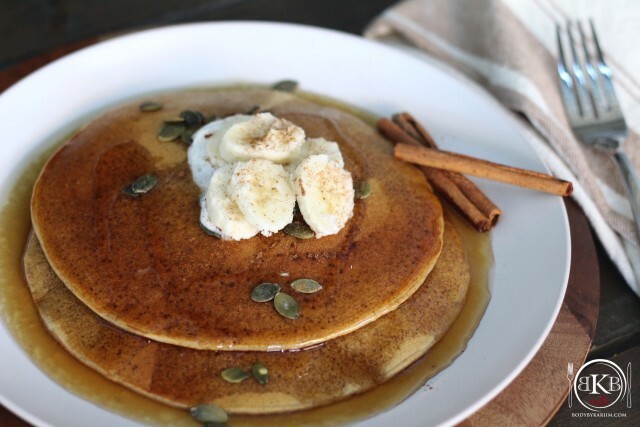 Serve warm with warm syrup, top with cinnamon or pumpkin spice and fresh bananas or banana puree. Enjoy! Add all ingredients to a large bowl. Mix until smooth. Cook pancakes until golden brown (or to your liking). Top with fresh banana, sprinkle of pumpkin spice, and syrup.